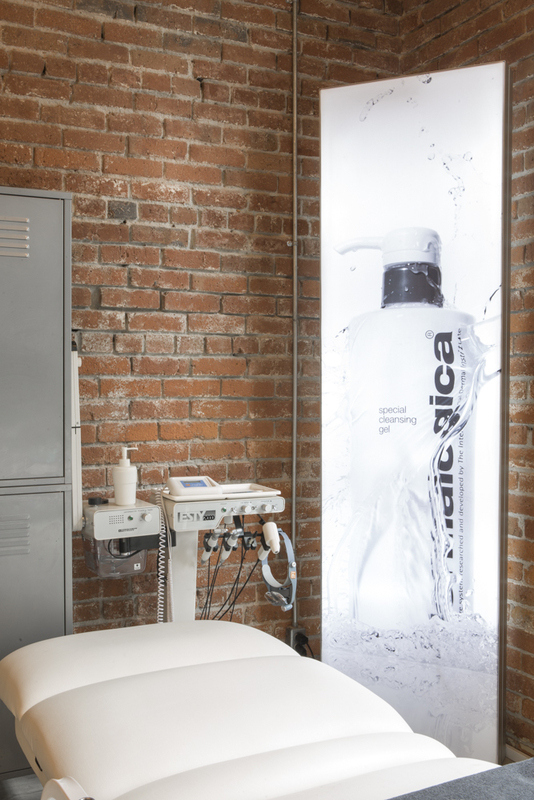 The esteemed skincare brand Dermalogica has built an enviable reputation as the top choice of more than 100,000 professional skin therapists in more than 100 countries worldwide. 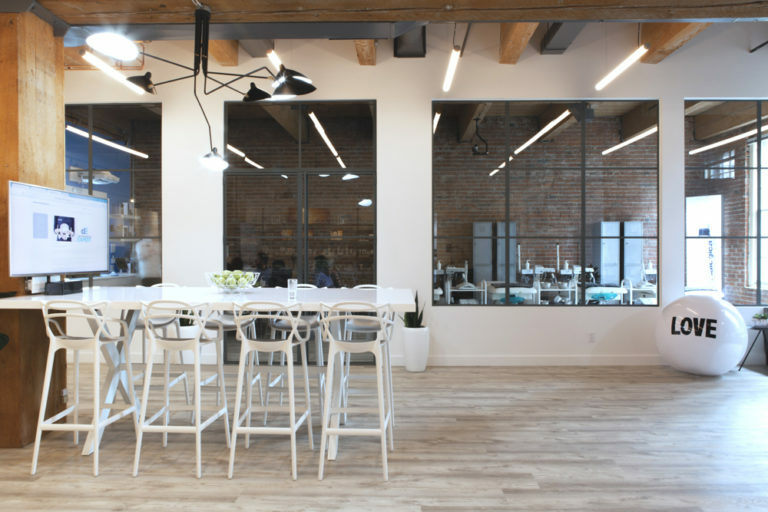 For their new hands-on training center in Yaletown, Vancouver, Dermalogica was looking to develop their concept of the learning loft into a truly unique ‘loft experience,’ by taking a lease in a post and beam space rich with heritage. 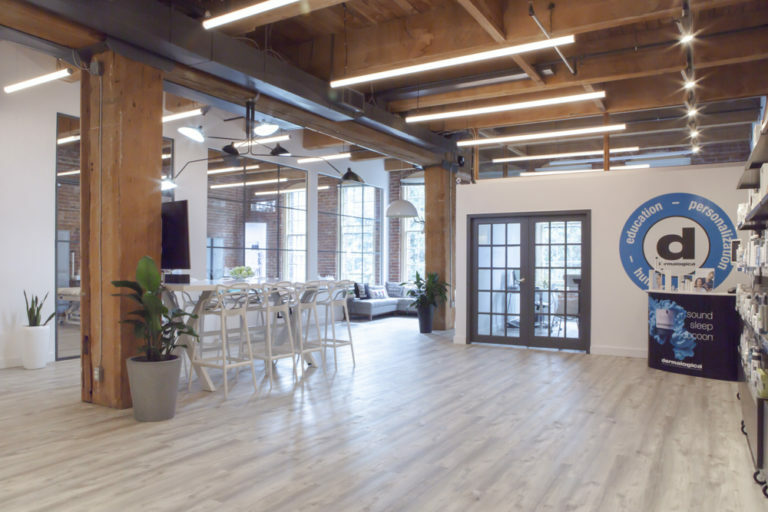 Originally wanting to maintain an open plan experience, it was soon apparent they required a separate space, but not separate space, from their classroom sessions due to lack of sound privacy and the potential impact it would have on productivity. 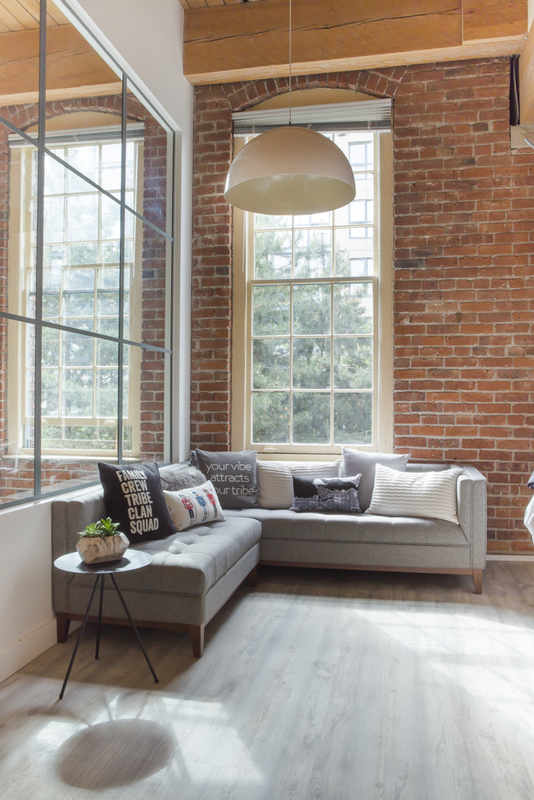 By working with the heritage language, we were able to give the client the required acoustic separation but incorporate a crittall-glass themed window system, allowing total visual connectivity between open and closed spaces, where the base build heritage features can still be seen and enjoyed. 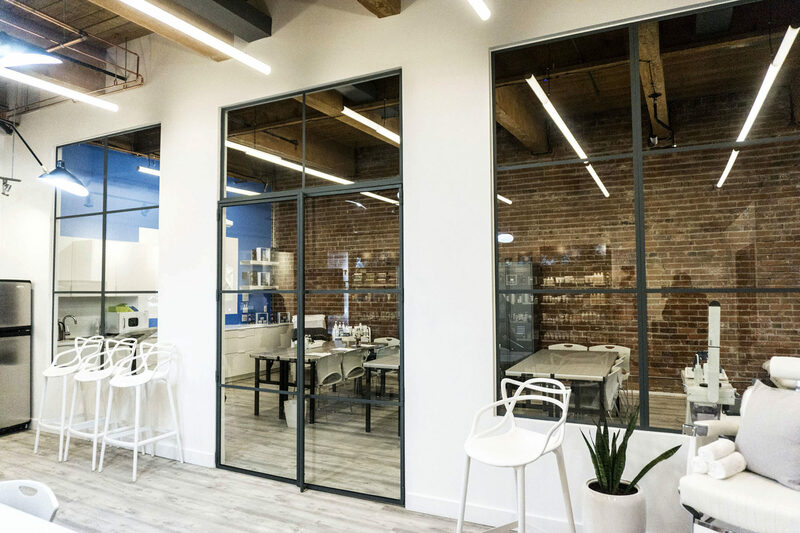 The space serves as total immersion in Dermalogica’s brand – from learning, to discussion, to retail opportunity, and includes private offices that give staff the opportunity for more contemplative, focused work.